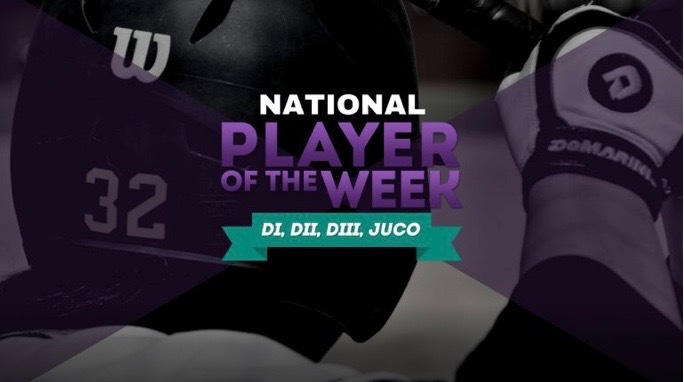 Fastpitch News has released its April 17, 2018, College Softball Players of the week awards. All nominations will be considered and are due each Monday by 3:00 pm eastern time. Please submit to rankings@fastpitchnews.com for review. Perez had a monster weekend at the plate for UCLA. The senior went 7-for-12 (.583) at the plate and helped lead the Bruins to a three-game sweep of Arizona. Her most notable outing was in the series finale on Sunday, where she went 4-for-4 at the plate with a solo home run and scored three times. Newman threw her second career no-hitter on Sunday in a win over Valparaiso. The junior had a perfect game going with two outs in the seventh before the batter drew a walk. Newman, who improved to 13-3, recorded a career-high 18 strikeouts and logged her sixth double-digit strikeout game of the season. Hebler hit a grand slam in the second inning of the series finale against Western New Mexico on Saturday. The grand slam was one of her three hits with six RBI on the day. Her offensive totals in the three-game series included five home runs, 11 hits, and 19 RBI. Armitage tossed a four-hit gem and struck out three batters to hand the nation’s top-ranked Colorado Mesa University its first loss of the year. The 4-1 victory gave Armitage her 11th win of the season in the circle for the Rangers. Anders led the Falcons to a 3-1 record while batting .714 (10-for-14) and slugging .786 with three RBIs and four runs scored. Anders batted 1.000 (7-for-7) in a doubleheader sweep of Stevenson with three RBIs and three runs scored. In game one, she batted 4-for-4 with two RBIs and a run scored. The junior followed that with a 3-for-3 performance adding an RBI and two runs scored with a double. Anders opened the week hitting 3-for-7 with a walk and a run scored. Shields posted a 0.80 ERA while going 3-1 and adding two saves in a 5-1 week. The sophomore threw complete-game victories in each of the three opening games of doubleheaders against Neumann, Albright and Widener. She then earned saves in game-two wins over Neumann and Widener. Her only loss of the week came on an unearned run at Albright. Shields struck out 14 batters over 26.1 innings of work while allowing just three earned runs. She also batted .429 with five RBIs, four runs scored, three triples and two walks. Markham-Rosario improved to 26-3 on the season after earning another victory this past weekend at Santa Fe. In game one, Markham-Rosario tossed 5.0 innings in the run-rule win. She struck out six batters while giving up two hits. She holds a 1.01 ERA and 188 strikeouts in 165.2 innings pitched this season.